They’re everywhere you look across the country nowadays – scooters. The rise in popularity is occurring rapidly especially in younger cities such as Austin and Round Rock, where the majority of scooters are rented and not owned. People can rent scooters as part of a dockless scooter program from companies such as Bird, Pace and GOAT. In Austin, the proliferation the scooters forced the city to act. It created a series of rules and regulations not only for the companies, but for scooter riders. With scooter use still in its infancy, though, pedestrians, scooter riders and vehicle drivers haven’t established an unspoken cadence for who should travel where, who has the right of way and who’s to blame if an accident occurs. Scooters are motorized vehicles that can travel up to 15 miles per hour. The possible negative effects of the increase in scooter use were seen clearly late last year, when a man was sent to Dell Seton Medical Center for a serious and life-threatening personal injury he suffered after a scooter accident on West Cesar Chavez Street in Austin. In Austin, there were 68 people hurt in scooter accidents between September and November of last year, according to state figures. In that timeframe, there were 37 calls to the paramedics in response to scooter accidents. 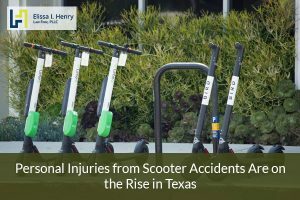 However, doctors at Dell Seton Medical Center said in December they sometimes see up to 10 people per day who have suffered a personal injury as the result of a scooter accident. Scooter riders are supposed to follow the same rules of the road as bicyclists, but they don’t always do so, and pedestrians and vehicle drivers often don’t understand how to deal with the influx of scooters on the road. The problem has gotten so bad that the Centers for Disease Control has been called in to help. The CDC is teaming with the city of Austin to study scooter accidents and determine what, if any, health risks are associated with scooters. While it’s a study that will be conducted in Texas, it could have ramifications nationwide as other regions are experiencing the same issue. Where’s the Fault Lie in Personal Injury Cases Involving a Scooter? Since scooters are a relatively new phenomenon, there’s a bit of a gray area when it comes to who’s to blame for personal injuries suffered as the result of a scooter accident. A class-action lawsuit filed in October 2018 might soon provide some answers, however. The lawsuit was filed in Los Angeles County Superior Court against companies Lime and Bird, claiming their practices contributed to the personal injuries sustained by the plaintiffs in a number of ways. 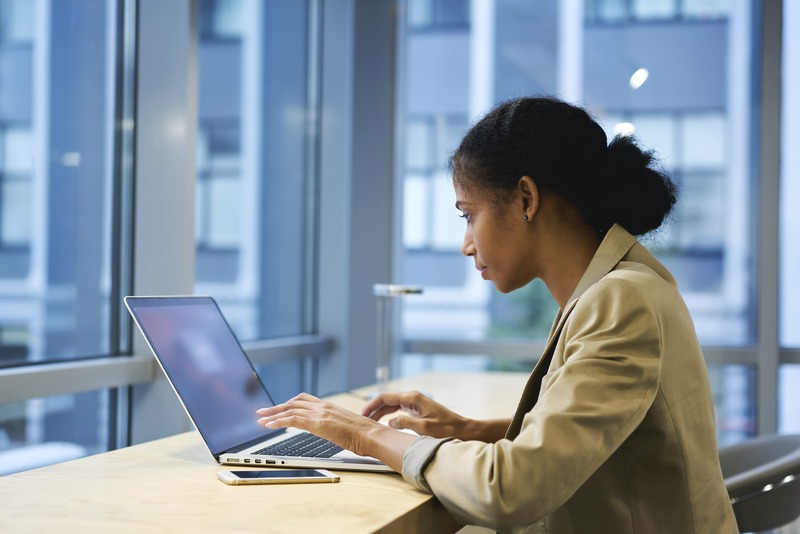 The suit says the companies should have known that their equipment would become a “public nuisance,” and so they are therefore liable for damages incurred. Scooter accidents are no laughing matter, and injuries sustained as a result can be serious. If you’ve suffered a personal injury as the result of a scooter accident, contact the personal injury lawyers in Round Rock TX at the Elissa I. Henry Law Firm at (512) 766-4529. How Long Do You Have to File a Personal Injury Lawsuit in Texas?